While everybody are celebrating the sweet taste of the victory of Manny Pacquiao, mood started to change after learning the bad news. His house in LA has reportedly been robbed. The house was burglarized while family Pacquiao and friends was in Las Vegas for his fight against Adrien Broner. The family's security members are already in the scene and started talking to investigators. The house has been roped off and no one from the Pacman's team are allowed in as police investigation is on going. Police spotted the house's front door opened during a police patrol. Pacquiao is still on his way back home to LA. It is unclear what items are being stolen. This is not the first time that the house has been broken, a similar incident happened few years ago. 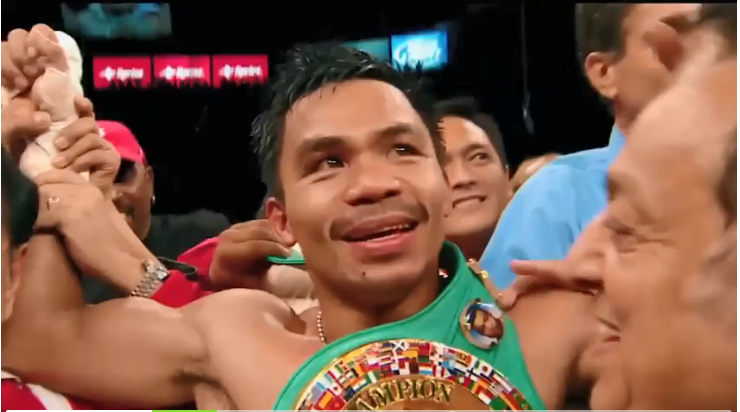 Pacman won against Broner in a unanimous decision to make a successful defense of his WBA welterweight title. Following to his win, fans started to make some noise for a rematch with Mayweather. "Tell him to come back to the ring, and we will fight," Pacquiao said. Mayweather is about answer the call.